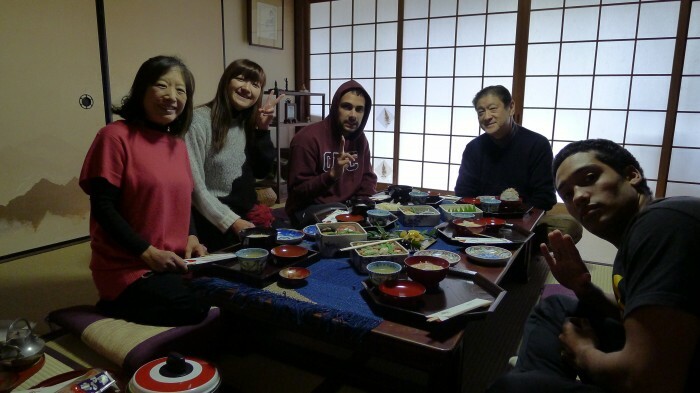 The new years is a big deal in Japan, from the tradition of visiting the local shrine, praying for a good new year, drinking that first sip of sweet new years sake (alcohol is big in Japan...) all the way down to a very special new years meal. 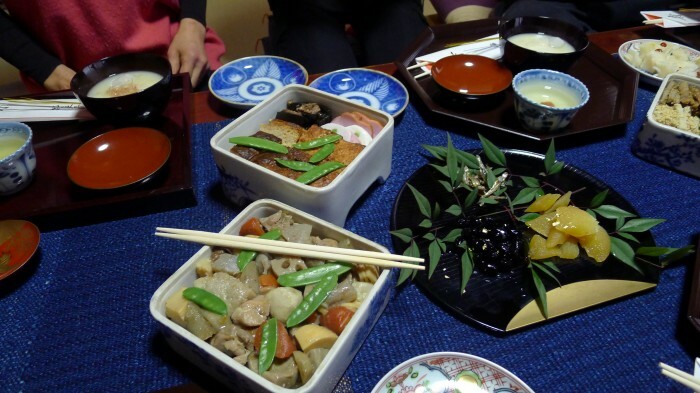 O sechi ryouri is the name of this unique meal. 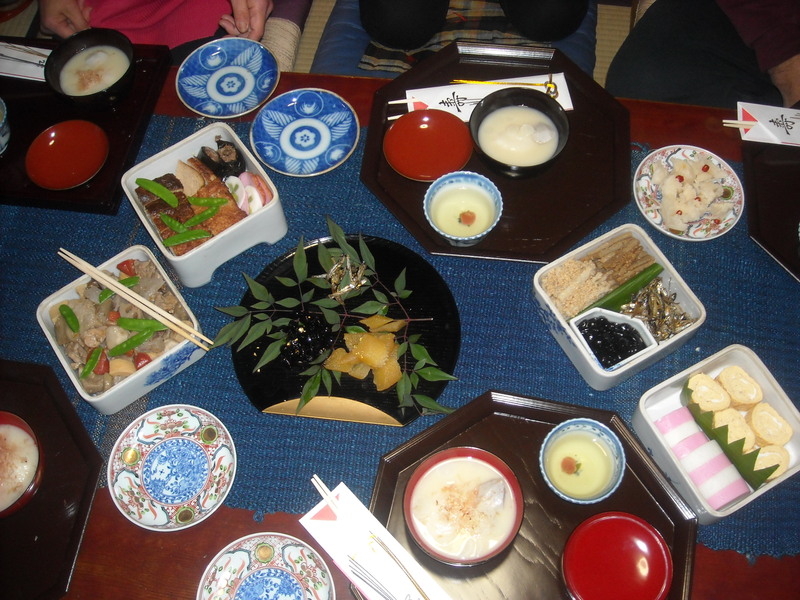 Sechi is broken down into lots of different bits, and presentation counts just as much, if not more, than taste. Even more important than either the looks or the flavor of the different parts of sechi is the meaning of the piece, because each and every single thing that'll find its way into your mouth will have some sort of meaning. 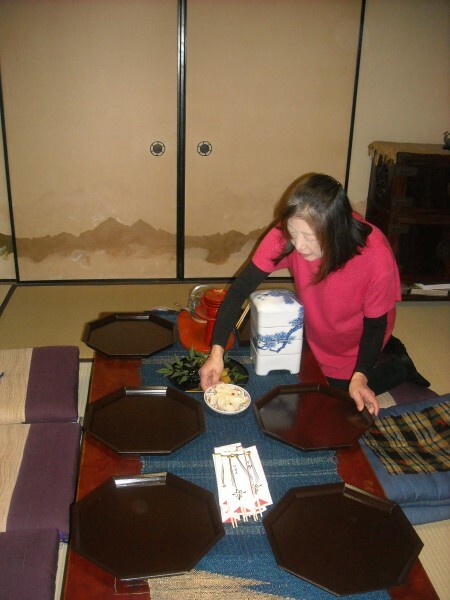 Okaasan (mom) setting up the table. Appearance is key! For instance, the food is presented in stacked boxes, with the idea that the auspicious moments of your life will also be stacked one upon the other (you can see them in the photo above). The start of the meal. The yellow thing on the black plate is roe. Also, the roe: eating all those little eggs will help you have a great, large family to enjoy your life with. 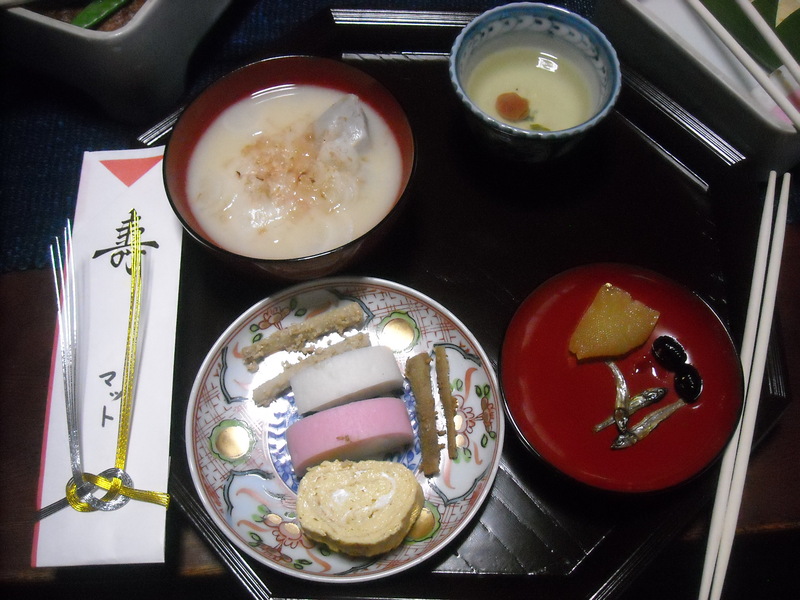 Traditional, extra-meaningful food on the red dish. If you look at the red plate in the photo above, you'll see that it contains only the three foods that were on the ornamental black plate. A special bean, the roe, and a tiny fish soaked in ... a sweet vinegar? Maybe. Really, there's far more than I could ever hope to remember, and, though I knew I should, I didn't write down any of the meanings of the foods, fool that I am. I did, however, take pictures. You may have noticed. 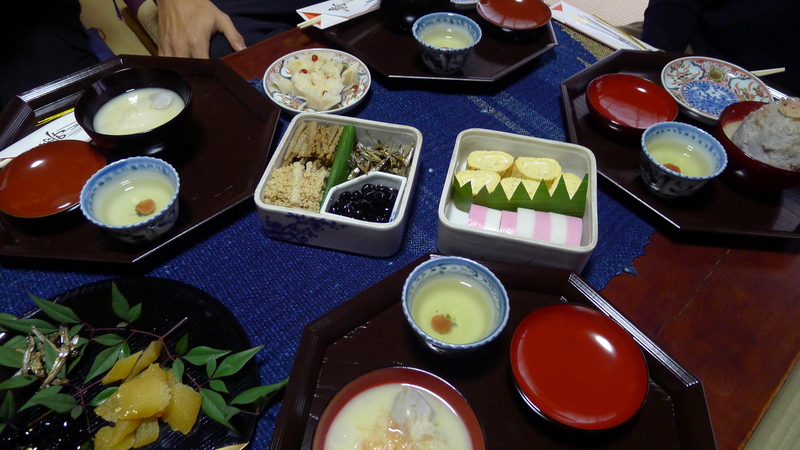 Finally, just like at the shrine, we all drank sweet new years sake out of a shallow saucer. 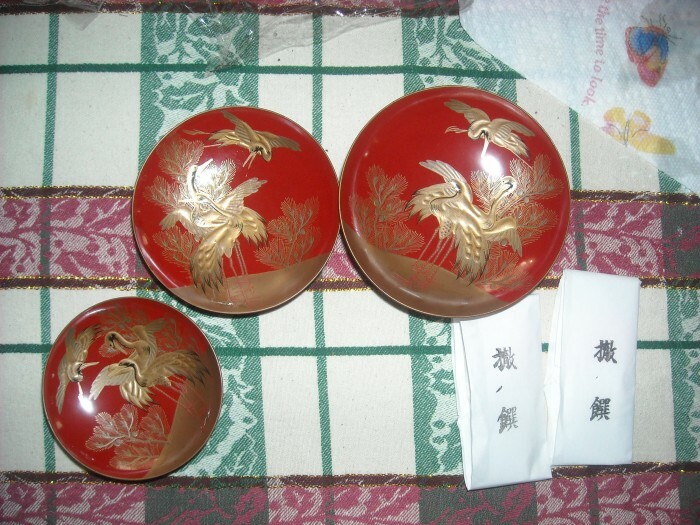 These ones were really something though, lacquered and well over one hundred years old.